The 150 and 250 CBRs have given Honda a good indicator at India's growing need for sports bikes and so the CBR 650F arrived with huge expectations. Having made its debut at the EICMA Motorcycle Show last year, The 2017 Honda CBR 650F has been launched in India priced at Rs 7.3 lakh (ex-showroom, Delhi). 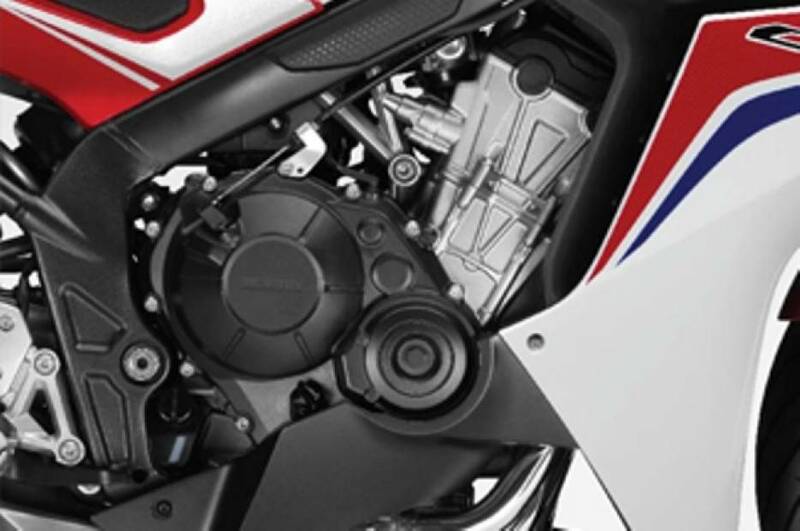 The updated CBR 650F is not only now BS-IV compliant, but also gets a plethora of upgrades over the older model. The middleweight sports tourer is priced at a slightly more competitive price tag than the previous version, which is a welcome change. The new Honda CBR 650F will be available via the bike maker's premium Wing World dealerships located in 22 cities across India and the outlets are accepting bookings. 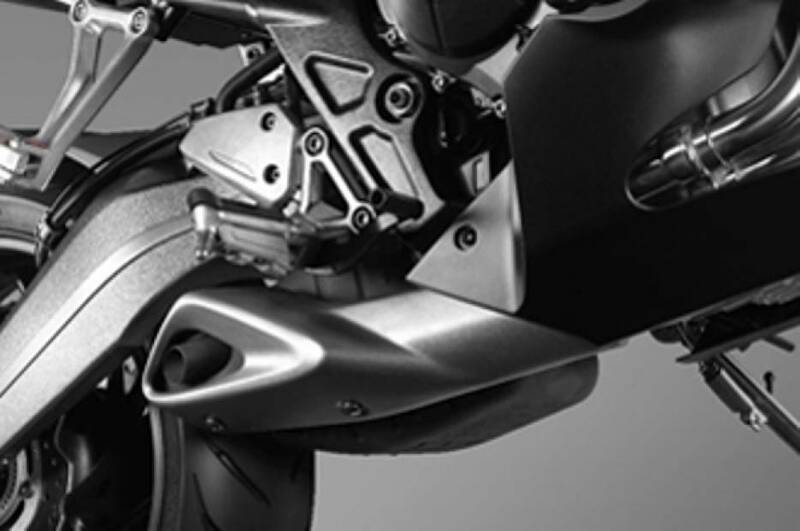 Other upgrades on the 2017 Honda CBR 650F include an updated suspension setup that includes new 41mm Showa Dual Bending Valve (SDBV) front forks for more effective control. The forks are also lighter and regulates how much compression damping can be reinforced for delivering, which is equivalent to cartridge type suspension units. The rear gets a seven-step adjustable monoshock unit. 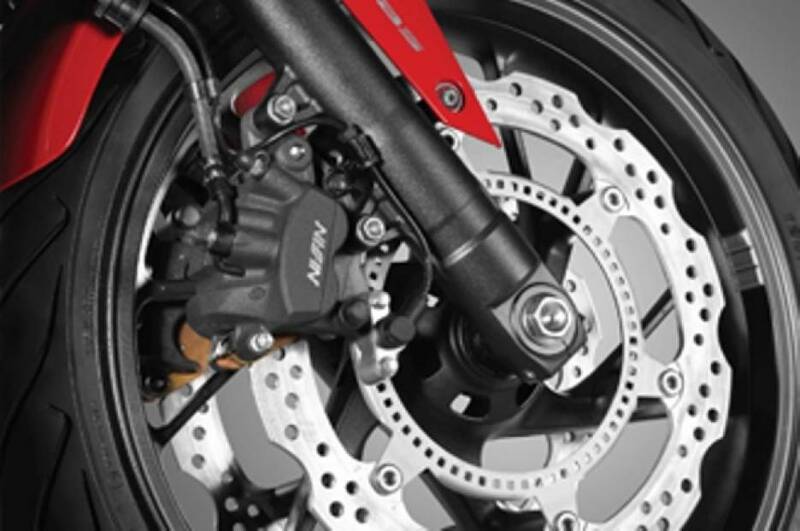 An aluminium swingarm offers stability on the CBR. Built on the steel diamond frame, CBR 650F is a robust looking bike weighing around 215 kg and measuring 2107mm long, 753mm wide and 11149mm high. The large fuel tank has a capacity of 17.3 litres and is designed in line with the rest of the muscular body. Racing graphics on the fairing lend a sporty flair to the tourer. Fascia has an aggressive stance with the v-shaped headlamp clinching the limelight. The wind-shield in front is useful especially during bad weather. The seat is placed low and is raised towards the end, the ride height needs a mention here as it provides comfortable posture to the rider. Power comes from a 648.72cc, liquid cooled, in-line, four cylinder DOHC engine offering 63.6kW at 11000rpm and 62.9Nm of torque at 8000rpm. A six-speed transmission is paired to the engine for directing power to wheels. The transmission does its duty well; gear shifting is quite smooth even at low speeds. The potent engine yields impressive performance as bike cruises away effortlessly, although it does show signs of fatigue around 130 to 140 kmph, but could be pushed further if needed. 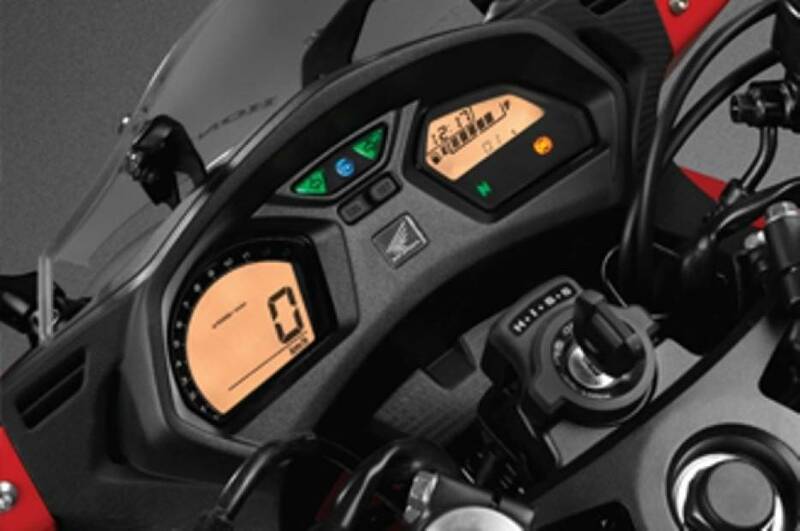 Features aboard include low seat, handlebar, dual disc brakes, anti-lock-braking system, foot pegs, v-shaped head lamp in front, digital twin-pod instrument cluster, wind-shield, muscular tank, semi-large visor, sporty design, exhaust at rear, seat cowl, twin spar steel frame, mono-shock suspension etc. Power to retard speed is provided by disc units equipped with ABS (standard fitment) in front as well as rear. Despite weighing heavy at 215 kg, CBR 650F handles well around corners and stays composed over bumps as well as potholes. Honda CBR 650F rides on 5 spoke, 17 inch aluminium cast tubeless tyres. The front tyre is leaner than rear measuring around 120/70mm as compared to 180/55mm tyre fitted at the back. In the high-priced premium sport tourer segment, Honda CBR 650F competes against worthy contenders like Ducati Scrambler Icon, Triumph Thruxton and Kawasaki Z800 among few others.